You can't have a website called "Good Old Games" without including two of the best old games! LucasArts' X-Wing and its highly heralded sequel, TIE Fighter, have been passed up to this point for a re-distribution, but all that is about to change. GOG.com has accidentally announced plans to re-release the legendary Star Wars space flight simulators. Nothing but pure gaming gold from this list. The SCUMM adventure games have aged flawlessly over the years, and Monkey Island, Sam & Max, and Indiana Jones and the Fate of Atlantis are among the best the engine has to offer. Maniac Mansion and Day of the Tentacle remain sadly missing, though. From there, we move into Star Wars. Knights of the Old Republic as the best "modern" use of the Star Wars license, although its becoming a little too dated to use that term anymore. BioWare's unrivaled storytelling and RPG mechanics still hold up today, and there is no shortage of other options to pick it up whether you look on GOG.com, Steam, and even iOS. Old time Star Wars fans, even older than myself, hold X-Wing and TIE Fighter in a much higher regard. 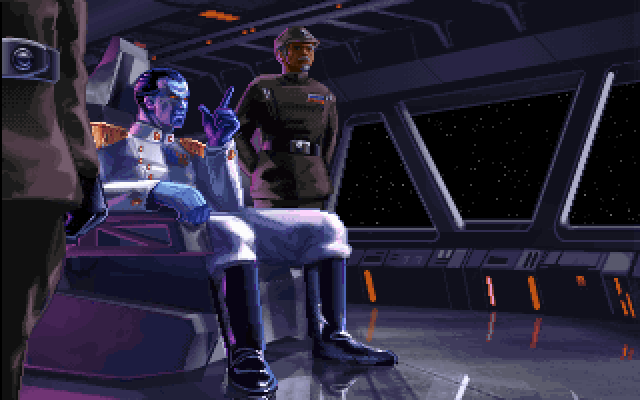 The games were a revolutionary step in utilizing 3D space for space combat, and they also offered a huge variety of missions and storytelling that rivaled what games were offering at the time. I was still in my blooming NES and SNES days when these two games were first released, but I remember watching my older cousins playing it. My young brain just couldn't get it. I've had a chance over the years to go back and appreciate it for the milestone that it was, but sadly, I don't have the nostalgia that most Star Wars fans of that time do. Maybe GOG could help make sure that doesn't happen to my kids.